As a part of Chuzhou City in China, Fengyang County, located on the south bank of the middle reaches of the Huaihe River, is celebrated as a national famous historical and cultural city. Abundant in tourist resources, Chuzhou City has six natural scenic areas, namely Jiushan Karst Cave, Chanku Temple, Woniu Lake, Dazhuang Scenic Area, Pingling Scenic Area and Avalokitesvara Nunnery. It is also reputed as “Hometown of Chinese Emperor”, “Hometown of Flower-Drum”, “Hometown of Reform” and “Hometown of Quartz”. Among all these cultural relics, Fengyang Flower-Drum and Fengyang Phoenix Painting are the most renowned cultural and artistic specialties of Fengyang County. Fengyang is known as the hometown of ZHU Yuanzhang (1328~1398), founder of the Ming Dynasty. Out of love for his hometown, the Emperor called it “A Red Phoenix in Morning Sun”. The current name, Fengyang, was named after it. Phoenix Painting (or “Dragon and Phoenix Painting”), which can be traced back to the early Ming Dynasty, has a history of more than 600 years. After generations of explorations by folk artists, Phoenix painting has gradually been shaped into a folk art with unique style. In Phoenix Painting, the phoenix is characterized by “a snake head, a tortoise back, an eagle mouth, a pair of crane legs, a ruyi (an S-shaped ornamental object and a symbol of good luck) comb, nine tails and 18 wings”. The queen of the bird kingdom is quite popular among the public. Fengyang Flower-Drum is a germ of Chinese opera art of the Han people in Fengyang. Regarded as a “Special Skill” of Fengyang County, it has been listed among the first batch of national intangible cultural heritages. As a type of double-skinned Chinese hand drum, it is performed solely or collectively accompanied by singing and dancing. The special performance form of Flower-Drum has won it the honor of “Oriental Ballet”. Please refer to “Attachment I: Garden Design Plan in Zhongdu Avenue of Fengyang County and Flower-Drum Photos” for the specific position and number of sculpture designs and for the design intentions as well. All medalists and finalists can get a certificate of honor issued by the sponsor. The jury consists of prestigious professors from colleges and universities. In accordance with the principle of objectivity, fairness and justness, the contest results along with the jury’s name-list will be announced. Jury: Experts, famous professors and art committees made up famous scholars judge all works in accordance with the principle of objectivity, fairness and justness. This contest is open to students majoring in sculpture art, environment art and public art, or professional institutions, professionals (units, individually or collectively) or engaged in sculpture creations, or teachers and students from colleges of fine arts or sculpture art, or art enthusiasts all over the world. There are no limits of nationality, races, ages and genders. 1) Collect designs from September 20, 2016~Ocotber 31, 2016. The email sending date of the electronic version of your design drawing prevails. Please send the sculpture sample entering the final through logistics services to Innovation Park Office, 3F, Fengyang County Urban and Rural Planning and Construction Bureau. The date the sample is received prevails. 2) Judge all designs preliminary on November 2, 2016, announce the preliminary judgment results on the official website and the WeChat public account on November 4, and notify finalists to make sculpture samples. 3) Collect sculpture samples of finalists from November 6, 2016 to December 30, 2016. The deadline is 17:00 o’clock of December 30, 2016. 4) Final judgment is on January 8, 2017. On January 9, 2017, the list of winners will be announced. 1. The “Phoenix Series” is suggested to be 36.8m in height. The “Flower-Drum Series” can be decided according to the public environment. All designs should have a correct positioning of Fengyang County’s historical and cultural background, resource characteristics and development direction. Sculpture designs should be original, typical of characteristics of Fengyang County, strong in visual impact as landmarks, and in line with the required themes. Besides, they should not lack beauty in form and profoundness in cultural connotation. 5) In terms of landscape sculpture designs (such as street lamps, feature walls, signposts, city furniture and other public facilities) placed on the 4.7km landscape avenue between the sculpture square themed on “Phoenix” and the urban area should emphasize inheritance of history and diversity of expression methods as well as unity of the overall art style. The design scope covers: a. The themed sculpture of Fengyang; b. The “Flower-Drum” sculpture of Fengyang; c. Public facilities, including lamps, feature walls, signposts, city furniture, etc. The design style should reflect regional culture. The specific dimension is decided by contestants based on the public environment. Please download the site environment and dimensions from Attachment I. 3. Design outcomes consist of four parts, namely the registration form, the design description, the electronic document of the design drawing, and the sculpture sample. In terms of the registration form, it is divided into three design series, namely a. The themed sculpture of Fengyang; b. The “Flower-Drum” sculpture of Fengyang; c. Public facilities (including street lamps, feature walls, signposts, city furniture, etc.) There is a form to fill under every design series. In the registration form, contestants should clarify the title, design concepts, design thinking, mass, materials, technical indexes, suggestions for construction steps, engineering investment estimation and requirements of environmental conditions. In terms of the design drawing (electronic version) should include the plane graph, the vertical view and the multidimensional design sketch (including the bird’s eye view) as well as other drawings helping illustrate design intentions. Contestants should back up the electronic document on their own. The design description should be presented in the doc. format document. The image DPi of the electronic version should be no lower than 300Dpi. The date the electronic version for the preliminary round is sent through email prevails; while the date the design for the final round is received in the mailbox of the organizing committee prevails. 4. Contestants can participate in the three design series at the same time. The design plans under every design series are not limited. The electronic version for the preliminary round should be sent to the email and the sculpture samples for the final round should be sent to the mailing address. 1. Please download contest-related materials from the official website of China Sculptors’ Association (www.chinadiaosu.cn) or the official website of China Public Art Research (www.chinapublicart.org). 2. Please send the electronic version to diaosujia@vip.163.com. (Name your email in the format of “Fengyang County Sculpture Contest Design Submission”+“Designer’s Name” + “Design Series”.) The deadline is 17:00 o’clock of October 31, 2016. The email sending date of the electronic version prevails. 3. 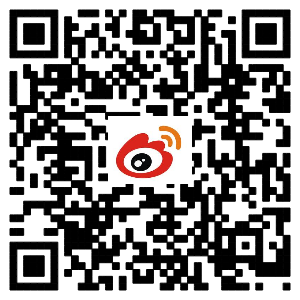 Please subscribe for the QR code of the WeChat account of China Sculptors’ Association to get the latest news of the contest and see whether you have entered the final round. Please send the electronic version of a 2-inch color bareheaded photo (for the convenience of making the certificate for exhibition participants) and the scanned copies of the ID card (back and front) together to the designated email (diaosujia@vip.163.com) of the organization committee. If contestants send more than one design, please match every design with the corresponding description correctly. Designs to be assembled should provide a clear installation drawing. (The electronic image DPi sent to the email should be no lower than 300DPi). The registration form should be clearly filled in without omitting any details. Foreign contestants (excluding overseas Chinese) can fill in the registration form in English in principle. Any designs submitted after the deadline will not be handled. For the sake of fairness, please don’t mark your name, unit or any information which might disclose your identity on the front of the electronic version. Besides, you should guarantee the authenticity and feasibility of your designs. If designs submitted by you are not in line with our design scope and requirements, your qualification to participate in the exhibition will be cancelled. All the electronic documents and other relevant materials will be kept by the organizing committee. Please keep backups because all these documents sent out will be sent back to you. Mailingaddress for sculpture samples in the final round: Innovation Park Office, 3F, Fengyang County Urban and Rural Planning and Construction Bureau, Fengyang County New Urban Area, Anhui Province, PRC. 2. The organizing committee is not liable for failure of contestants to send designs to the designated email or the damage of these designs not on the part of the organizing committee. 3. Contestants should not infringe on others’ legitimate rights and interests in the designs submitted; otherwise, contestants rather than the organizing committee should undertake all liabilities for doing so, including reputation and economic losses thus caused. The organizing committee will also cancel rewards for such contestants, and contestants should return rewards in full amount and the certificate of honor to the organizing committee. The sponsor has the right to publish contestants’ designs or use them for public good. Designs of all finalists and some excellent designs will be compiled into the album. The album includes introduction of the exhibition, academic papers, exhibition moments, exhibition works, brief introduction of creators and design description. Designers whose project designs are finally constructed have the right to publicize these for business purposes. 4. Contestants should pay for all fees incurred during the contest process. 5. The organizing committee will not pay any more contribution fees after giving medalists with rewards. Medalists have the responsibility and obligation to further improve their design based on requirements of the jury, and can participate in bidding for the project construction. If they fail, they still have the obligation to go to the construction site for artistic guidance and supervision so as to guarantee originality of their designs. They should visit the construction site for no less than three times. The organizer will not pay any fees for such guidance, but the construction unit will cover the transportation and accommodation fees thus incurred. 6. In order to guarantee quality and progress of the construction project, China Sculptors’ Association will organize a Project Construction Supervision Committee. All contestants are considered to agree with this statement and regulations of the contest. No written confirmation or confirmation of other forms is required. The design solicitation is in China. The sponsor reserves the final interpretation right of this contest. Notes: 1. Please carefully fill in the registration form without leaving any details. 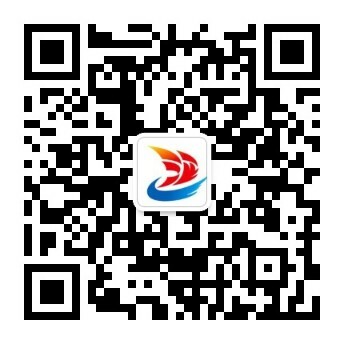 The registration form, it is divided into three design series, namely a. The themed sculpture of Fengyang; b. The “Flower-Drum” sculpture of Fengyang; c. Public facilities (including street lamps, feature walls, signposts, city furniture, etc.) There is a form to fill under every design series. 2. Please attach a registration form to every design submitted by you.